#1 seller on sale. 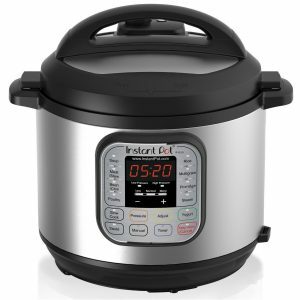 Amazon has an Instant Pot Duo80 8Qt 7-in-1 Pressure Cooker Sale. Only $89.95 with free shipping, free in store pickup. Rated 4.5 out of 5 stars. Next lowest price $144 at amazon.